One of the greatest changes to the stamp collecting landscape over the past 20 years has been how the hobby has embraced the Internet. Technology has brought collectors together in more ways than ever before. We buy, sell and trade online. We share what we’ve learned with collectors around the globe. And we spread ideas with a serendipity that constantly amazes me. Here’s a fun example which hit me right between the eyes at our last Regina Philatelic Club meeting. But it started online, as most of my stamp collecting adventures do. Last year I joined an online forum called The Stamp Forum (TSF). For me, TSF members are the perfect mix of beginner and experienced collectors and there’s lots of interaction between members. Everyone happily and unashamedly shares pictures and stories of their ‘gems’, whether the stamp is worth $2000 or 20 cents. I love that; it’s exactly the spirit we have at the Regina Stamp Club too. One of the long running threads on TSF is a daily Postmark Calendar, where members post pictures of their stamps with a readable postmark on the current day. It’s been looping around the calendar for nearly four years now. My first contribution to TSF’s Postmark Calendar thread. January 10, 1956. 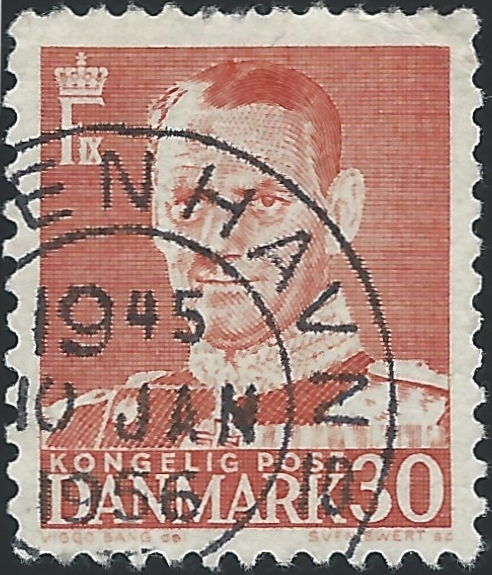 King Frederick IX of Denmark with a Copenhagen cancel. I had shared some of my Sweden collection on another thread, and Steve commented that some of the postmarks were nice. Maybe I should post them on the Calendar thread too? So I did. A few TSF members encouraged me to continue, so over the Holidays I started a Postmark Calendar of my own, where I mounted stamps by date to fill in an annual calendar (and posting on TSF as I can.) I think I have 70 of 365 days completed so far; a long way to go but it’s a lot of fun. A partial screen shot from Jim Jackson’s Big Blue stamp blog. One of my favourites and well worth subscribing! Click the image to go to Jim’s blog. Wow! I guess I was on to something, even if my newbie calendar contained mainly modern, common Danish duplicates. I kept adding to my calendar with renewed vigour. Now this story leaves the Internet and gets back to the Regina Stamp Club. One of our recent meetings had an activity around the letter “P”. Everyone was encouraged to bring in something stamp related that connected with the letter P.
My (P)ostmark Calendar fit the bill, so I brought my binder and shared the current state of my project. Kicking It Up A Notch. Or Three. I don’t think I impressed too many people with my rudimentary calendar (it’s early days for me after all), but I inspired one member at least. Two weeks later, Bob G brought in three large binders to show me. The first binder contained a postmark calendar full of stamps with clear Saskatchewan town cancels. He’s only missing 2-3 stamps in the entire year! A page from Bob’s postmark calendar, featuring 100% Saskatchewan town cancels. Wow! And the third binder is full of duplicates. All Saskatchewan town cancels, all sorted by day. Zowie! Bob, who is the club’s resident expert in Saskatchewan town cancels, joked that he was lucky to be sick for a week so this project gave him something to do. I was some kind of impressed, believe me. Plus, Bob gave me a small bag of town cancels to add to my calendar. I’m a lucky guy indeed. Sure, when we’re actually building a collection, there is lots of time spent alone with one’s stamps. But with the network of local clubs, stamp blogs and online forums, there’s also a wonderful web of support and encouragement for all aspects of stamp collecting. The encouragement and support I received so far with my postmark calendar project is but one example of hundreds that I’ve seen and experienced over the years. So join a forum and get involved. Share what you have and ask a lot of questions too. And join your local stamp club. Save the work of scanning your collection and instead just bring it to the meeting and share it at the club. And if you’re in or near Regina, Saskatchewan, join the Regina Philatelic Club. We’d love to see what you’re collecting. 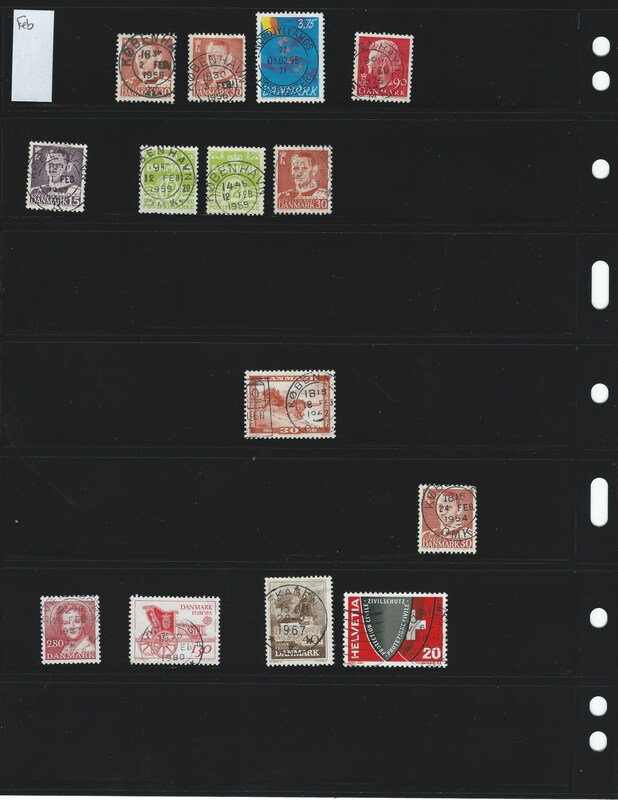 I have some old stamps that i would like to sell…..where and how can i do this??? Hey Patty! If you’re near Regina, I’d try Barrie’s Coin and Stamp on Smith Street.